Perfect for an SCA knight or anyone in the military! 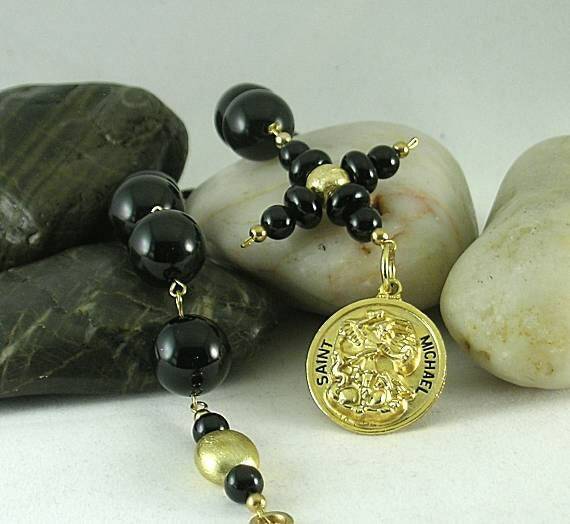 This paternoster has a 24mm saint's metal of the archangel, St. Michael on one end which is attached to a handmade credo cross which is in turn connected to ten large 14mm onyx round beads. 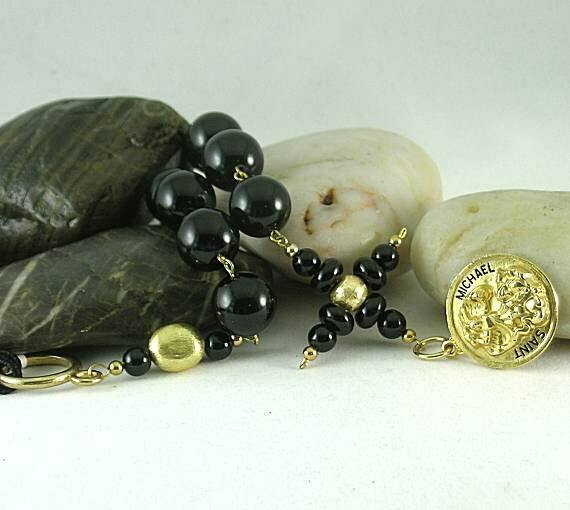 On the other end is a bead that matches the credo cross which is attached to a metal ring with a cord for hanging from the belt. In medieval times, Saint Michael was the patron saint of chivalry and is now also considered the patron saint of police officers, paramedics, firefighters and the military. 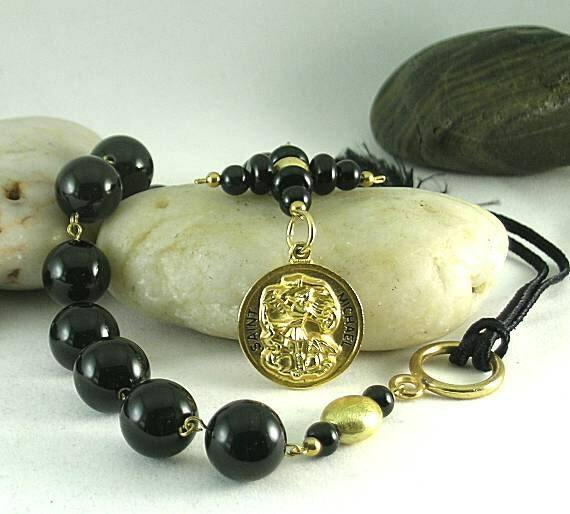 Also available with other saint's metals: St. Christopher or St. Raphael. Convo us is you want one of these. 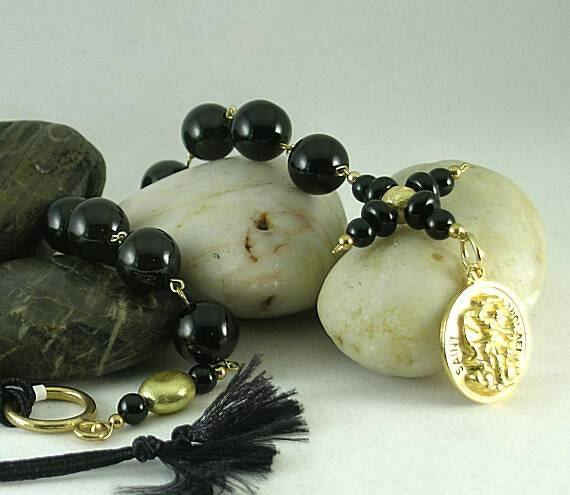 CREDO CROSS - The Apostle's Creed can be found in use as early as 6th century. By the end of the 12th century Eudes, Bishop of Paris issued a decree in 1196 commanding the priests to urge the people to recite frequently the Lord’s Prayer, the Creed and the Salutations to the Virgin. The Creed was usually said on a cross form that was incorporated into the prayer beads and became known as the credo cross.